China has seen a proliferate rise in the demand for avocados in recent years, hitting imports of 25,000 tonnes as of 2016, a considerable leap from the somewhat modest 154 tonnes in 2012. China is set to be a major market for this ‘butter fruit’, however, with recent unfavourable harvests and a soaring demand, avocado prices are predicted to rise substantially. 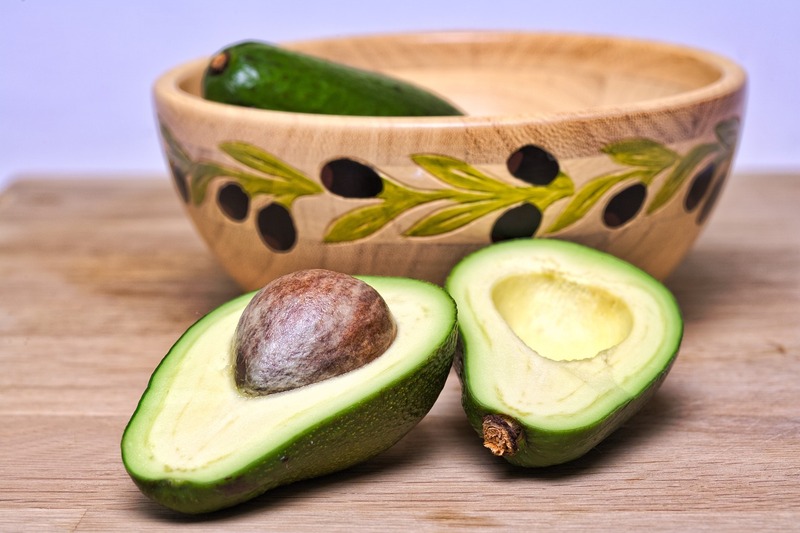 The humble avocado has superseded its previous life as the mere base ingredient for making guacamole and has become a shining star of modern gastronomy, especially hitting up a storm in the health and fitness industry. It’s considered a trendy status to be brunching over smashed avocado on toast, creating avocado roses and the latest venture – serving lattes in hollowed out avocado skins. As a result of this unprecedented rise in demand, it seems only natural that prices will increase. Image source: Blame hipsters for making these foods more expensive – Bloomberg. Health concerns from the middle-class population in China and the perceived concept that avocados meet the needs of a healthy lifestyle, especially that of a premium one, seems to be a major contributing factor to this burgeoning demand in the Chinese fruit market. Indeed, even Western fast food brands such as McDonald’s are being heavily influenced by such changes in taste from their consumers. Avocados have been implemented into various products from such fast food chains within the country. Image source: Avocado imports soar as China develops taste for ‘butter fruit’ – Financial Times. However, due to the fact that China is yet to commercially cultivate such a prized commodity domestically, it is currently reliant upon imports predominantly from Mexico and Chile. 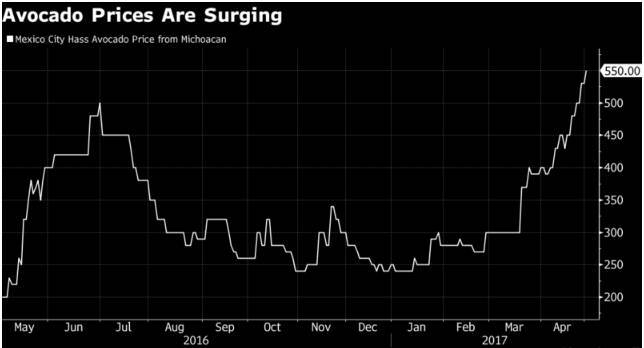 With Mexico accountable for 70% of the world’s avocado production, a rocketing demand from one of the world’s largest populations and poor harvests this year is leading to a sharp increase in price. In fact, the wholesale price of the fruit has climbed to a 50% increase since the start of the year and is looking to double over the course of the summer. 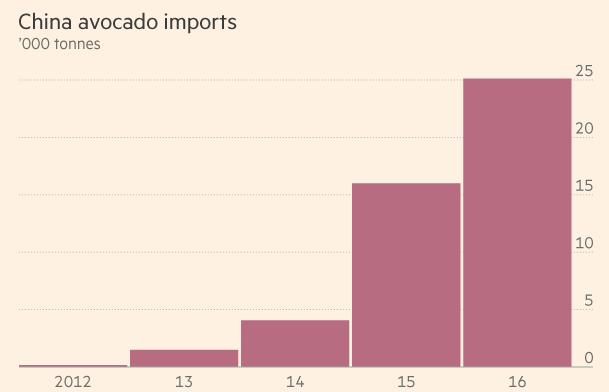 It would appear that the shortages of imported fruits and vegetables has not limited to just avocados. It’s been a queer year so far, what with scandals such as the ‘iceberg lettuce shortage’, spinach scarcity and the rationing on courgettes, chiefly thanks to mal weather . Such food crisis’ have of course taken their toll on varying price levels. For instance, according to a report from the Guardian, which can be found here for further reading, courgette prices were incredibly high at around £20 per 5kg crate, a far cry from considerably lower summer rates of £4-£6. With supplies not sufficient enough to offset demand, the outlook for price levels of avocados doesn’t look positive for consumers. Prices certainly look set to rise in the coming months, thanks to unfavourable weather and resultant bad harvests. What’s more, with the dawn of Brexit, imported fruit and vegetable prices are liable to rise by up to 8% once the UK leaves the EU, due to Britain’s dependency upon EU countries to provide such goods. Imports from places such as Spain, that Britain cannot cultivate commercially, will be prone to difficulties in terms of sourcing labour and importing rights. Image source: What is causing the 2017 vegetable shortage and what does it mean for consumers? – The Telegraph. One way of coping with this influx of avocado demand may be to reduce the size of the fruit. If you are interested in ‘tiny avocados’, an amusing new product launched by Trader Joe’s, you can read more about them here. 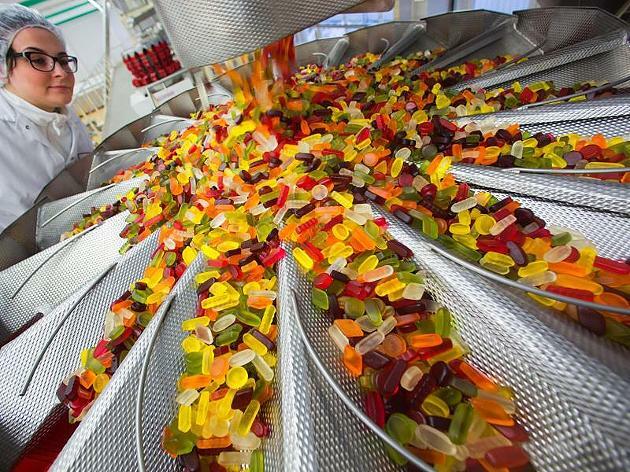 Trade Finance Global is dedicated in assisting business within the food industry to progress, with financial aid options available and tailored to individual requirements. You can find out more here. 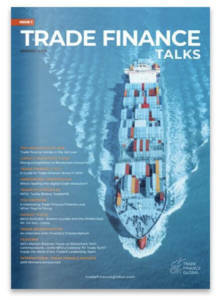 Want to find out more about food finance?